Tech startup is a different ball game. As you are on the verge of solving a great puzzle and ready to offer an awesome solution or a great product to mundane mankind, odds are against you. Why so tough? Because, developing a tech product is not a cakewalk. It is as troublesome yet satisfying as raising your child. Sometime it will be unruly, sometime obedient and often you will be clueless. To tackle the hassle, you have to place your startup inside a system as you often place your kid in your lap or cradle to give him little cushion and convenience. As he grows along, you unlock all your love, skills, and seek guidance from other experienced fathers to help him to justify all the potential. Your baby tech product demands them too. Unbridled passion, prowess— everything that you have got. When you get clueless, you look for experienced and able arm. Ideas are celebrated in startup world. If so, then they should define the goals without any dent and hiccup. If your ideas are cluttered or scattered, your product will get stuck into a labyrinthine. That’s why we have tirelessly championed the need to have a great problem and shape up your idea around them. Ideas must be ideated around the problem of mass or the need of users. Once you wrap the process around your idea, it will help your thoughts to complete the journey from point A to point Z. When you are building a great tech product, the process goes beyond a mere sketch on your paper. It requires framework which will help the developers, designers to follow step by step and build it. Plus, the system will help a non-techie to keep a tab on the entire process, from ideation to building a great product. How to introduce the systematic workflows? What will be the content or your Solution? Where to find the information or where the users will meet with your solution? What will be the interface interaction or how the users will interact with the solution? A good wireframe will be the backbone of your design and feature every single point of details. Users must log-in to their Uber app to meet with the solution. Users need to feed few information to the app to meet their purposes. Current/ pick up location, drop location and which option they pick. 2. Mockup: Mock-up is the advanced visual roadmap to usher in life to your product. As it is more graphical in nature, the user-interaction is more prompt, which helps to gather information. It’s a great help for the developers too as they can understand the development and design process. It is developed to trigger the real development and the design process. From font types, navigation menu to color, themes, button, logo- everything will be specified here. 3. 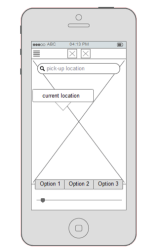 Prototype: Prototype adds function to the design process developed by the wireframe and mockup. This is a working model of a product which is built for demonstration purposes. Gathering all the inputs from the mockup, in prototype, a basic version of the product is built, tested and then reworked. Developers can understand the need of the users and their interaction. It will also help them to remove any misunderstanding. Identify the problem early on and work on it to deliver a better product. Making the changes instantly. As there is a viable product in your hand, it will be easy to rectify and deliver the product on-time. Very unlikely, startups have smooth journey at their initial stage. When it comes to the tech startups, the great marriage between the problem and the solution may or may not click. 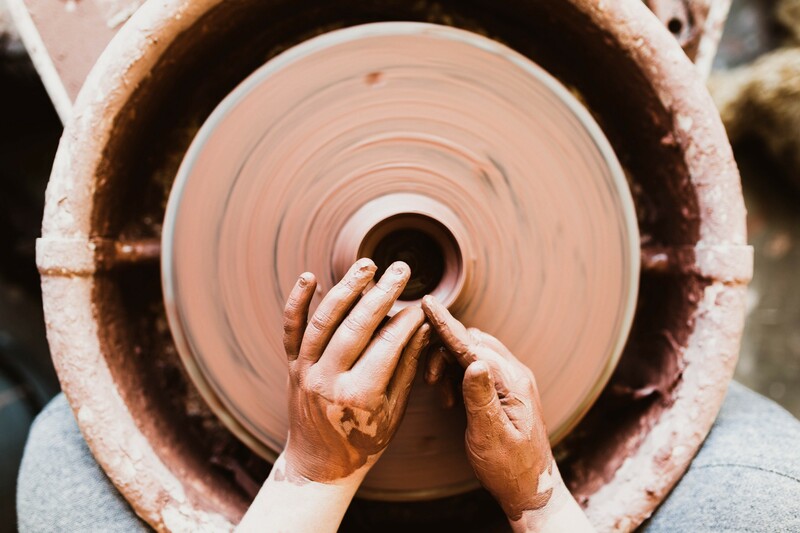 When your product is ready, place it under rigorous tests to ensure the problem has been addressed and the promises are met. Besides underlining the mistakes, the testing will open up new thought-process and may change the offerings of your product. You have a great respect and understanding on technology. But, your audience simply do not care for it. Any technical mumbo-jumbo will be graciously rejected by them. So, keep your pitch aligned with your solution instead of bragging the features. Dropbox does not celebrate the potential of cloud. It focuses on collaboration, teamwork, seamless work and managing documents without any hassle. Startups have never been easy. Considering the present chaos and competition in the startup world, finding success is a game of patience and perseverance. The power of tech can give you virality with all the big promises and quick solution. But, to be their daily habit or consumption, you have to build something irresistible. Without a system, the chances are obscure. Working with some amazing visionaries for 9 years, we have decoded the system which we fondly call- “Idea-Clarity-Reality”. With our simple yet effective steps, you will never be an overnight sensation, but you can turn your ideas into great products. Rest of the game is the debate and discourse for another day. Now the ball is your court. Do you think these stages will genuinely help you or is there some gem under the hood in the hush-hush world of startup success? Feel free to share your views, concerns and inspirations with us, a fan of your startup spirit.